Miller Hill Subaru has the Subaru you have been searching for at a price you can afford. At our Subaru dealership, you will find a friendly and helpful sales staff, highly skilled mechanics and multiple automotive certifications. 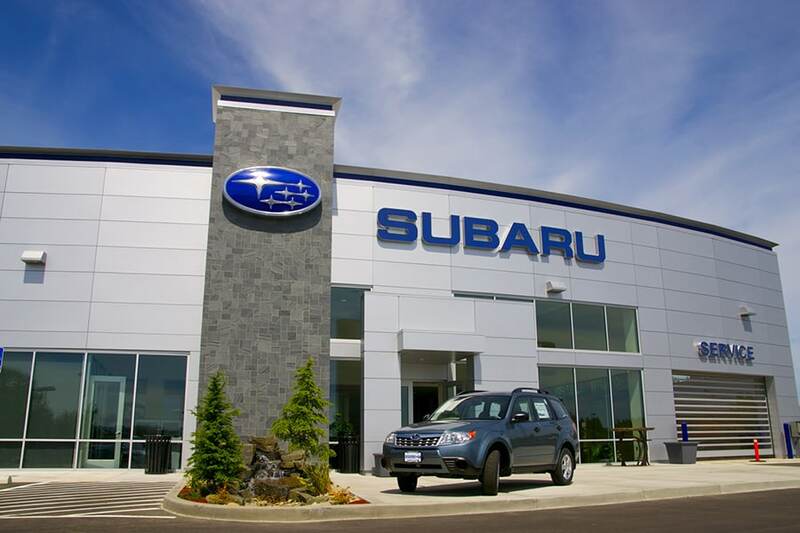 Come see why we are a preferred Subaru dealer near Duluth, Minnesota! Our mission is to make every customer a customer for life. In order to achieve this, we understand that we have to consistently provide world class services. Some of the things you will see at our Subaru dealership include exceptional customer care, competitive prices and a knowledgeable staff. Visit us today and take a test drive in your dream Subaru, or give us a call. We are located a short drive from Duluth, Proctor and Cloquet. Comfortably browse our new 2018-2019 Subaru inventory online, and then contact us to schedule a test drive in a shiny new Outback, Crosstrek, BRZ, Legacy, WRX, Forester. We are also very excited to have the All-New 2019 3-row Subaru Ascent in stock at Miller Hill Subaru. We are eager to serve and standing by. Our knowledgeable and professionally-trained staff makes the difference between just buying a new or used car, and buying a new or used car with a dedicated and friendly team behind it, ready to serve all your automotive needs near Duluth, Proctor and Cloquet. In fact, Miller Hill Subaru is one of the preferred Subaru dealerships in the entire state of Minnesota! Take comfort in knowing our relationship with you doesn't end when you drive away in your new or used Subaru. For a high-quality used car near Duluth, Miller Hill Subaru has you covered. Our dealership features a large selection of cars trucks and SUVs to choose from and an exceptional sales team to answer all of your questions. Many of these used cars have low miles and are in GREAT condition. And don't forget to check out our selection of used cars under $10K! For a low interest rate car loan in Duluth, visit the automotive experts at Miller Hill Subaru. Our auto loan officers will create a customized auto loan package that will easily fit within your budget. We have helped thousands of customers in Duluth and beyond secure an auto loan, allowing them to drive away in a new 2018 Subaru or used car quickly. Regardless of your credit status we can help. No credit or bad credit? No problem. Come down to 4710 Miller Trunk Highway and speak to a financial professional. An affordable car loan or lease is within reach at Miller Hill Subaru. Are you looking for Subaru auto parts in Hermantown? Miller Hill Subaru in Hermantown, Minnesota, not only sells new and used Subaru cars near Duluth, Proctor and Cloquet but we offer exceptional service, parts and accessories. We use only genuine Subaru parts on all of our car repairs and our technicians are some of the highest trained in the area. Read about us, visit our dealership at 4710 Miller Trunk Highway, or give us a call. Our team is available to answer your automotive questions. Thanks for visiting our site, and we hope to see you at our Hermantown car dealership soon! We are a short drive from Duluth, Proctor and Cloquet.